23. The Lamps - "Shoes"
22. Gum - "Under Your Spell"
21. Carter Sampson - "Peaches"
20. Erik Oftedahl - "Self Medication"
19. Dane Arnold & the Soup - "Mrs. Williams"
17. Sports - "Don't Tell Me"
16. Taylor Rapp - "Time"
15. Cedar House - "Tempest"
14. Chair Model - "Barely Shook"
13. The Ivy - "Have You Ever Been In Love"
12. Blaze McKenzie - "Think A New Thing"
11. No Kind of Rider - "Distinct"
10. Buddy South - "Hard Time"
9. Bad Jokes - "Eskooyoo Gatta"
8. Vonna Pearl - "Anything"
7. Audio Book Club - "Vodka Soda"
6. 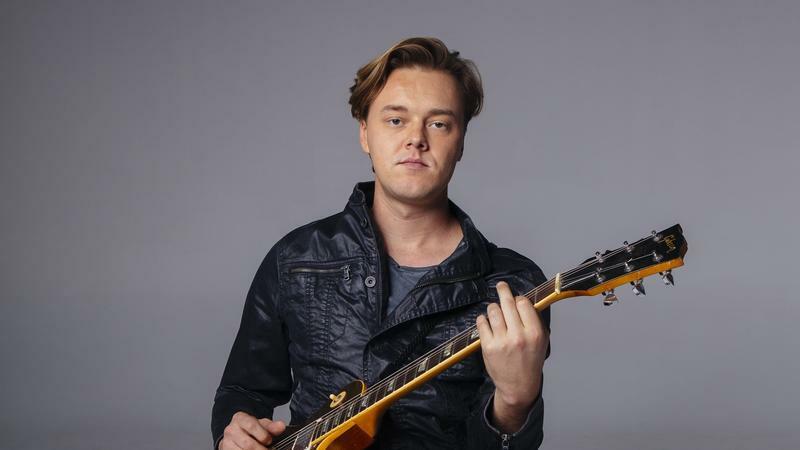 Parker Millsap - "Let A Little Light In"
5. Jason Scott - "She Good To Me"
4. Kinsey Charles - "Single File"
3. Broncho - "Big City Boys"
1. Adam & Kizzie - "Breathless"
Every month, NPR Music asks public radio personalities around this country to name a new favorite song and, this month, KOSU featured Oklahoma City musician Jason Scott. Every month, NPR Music asks public radio personalities around this country to name a new favorite song and, this month, KOSU featured Oklahoma City musician Blaze McKenzie.